Tonight, I sat at the local preschool graduation ceremony watching all my special little friends recite their poems and songs for their adoring fans out in the audience. These little ones were so confident, so “big” now! I watched mommies, daddies, grammy’s & papa’s clap and cheer for their precious one when his or her name was called to receive either the diploma or certificate stating that this child was ready to go into the next class. Some will be moving up to kindergarten, to where they will be learning so much more than how to read and write. As I sat and watched them, I remembered how quiet and little they were in the fall in comparison to these very confident 3-5-year-old’s. All these thoughts led me to think about, this ol’ swinging door hanging open in the Charbonneau Schoolhouse, flapping gently in the breeze because there are now no windows to block the wind. It makes me wonder at the sounds and sights it once was a part of. I can only imagine what this door has seen and heard! How many lives did it open and shut for? I just sat and thought about what all went on in this old school-house. I can imagine little kids coming in and being almost doe-eyed when they walked in the school for the first time. Were they scared or excited? I can just see them shyly walking up to the front of the rows of desks and choosing the chair right in front of the teacher. Or did the teacher assign this seat to them? I can see the teacher starting with the basics of reading, writing, and arithmetic as she wrote on the blackboard for them to see. I can see the little ones learning how to spell, how to properly sound out the words, how to spell their own name and that 1+1=2. Then at the end of the first day that little one charging out this door, possibly letting it slam behind them as they race home to their Mama and tell her all about the wonderful day they had. I could see them at their first Christmas program belting out a loud hardy song of “Jingle Bells”. Playing in the skit of “Baby Jesus in the manger” and singing Silent Night at the end of the evening. Then proudly offering the gift that the family made to the teacher and wishing each other a Merry Christmas. I can see them trudging through the prairie harsh cold snow and winds to make it to school, they knew they needed the education, they understood the importance of it. I could hear the children playing outside and playing a nice rowdy game of baseball in the springtime. Then at the end of the year, the final school performance for the community before the summer break begins. These little ones that were once so shy and afraid are so big now and have no fear as they belt out all the fun songs they learned throughout the year. I can see this door swinging open and close for each family member to walk through it so they can proudly boast “that’s my child” to the one standing next to them as they do their performance. Then as each person leaves for the summer break the door is shut tightly, waiting for fall harvest to be completed so it can be there, inviting in the next group of little ones to walk through it and being that familiar site for the returning students that have graduated on up to the next grade. I do wonder though when was the last time this swinging door closed? Who was the last person that walked through this door? Did that person realize that it would never open for a classroom of students again? If only this door could tell its own story! Now I come back to the sounds of my sweet little friends singing at the top of their lungs! I know they are so excited for school to be over and their so excited to be “big” like the class ahead of them. I think they know, that “change is in the air”! I hope that those that attended this evening events realize something very special, that it will never again be the same as it was tonight. One day these doors will be quietly swinging back and forth, with their own story to tell. Down the road, another school echoes with the past. If you like Sandy’s essays from the Badlands, we’ll run more. Let us know. 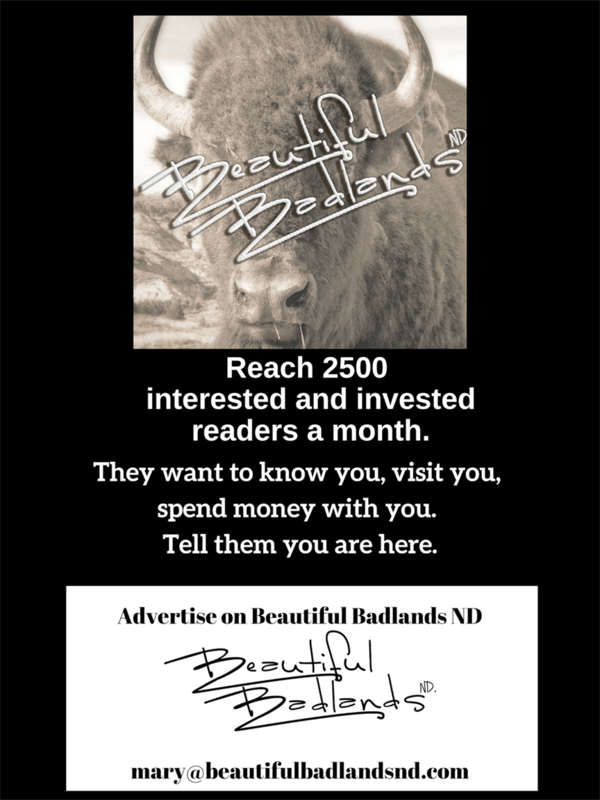 Subscribe to get a note when the next Beautiful Badlands ND article is published. Follow us on Facebook for a lotta other cool photos, stories, and posts that don’t show up here on the website.